The 2014 version of New Zealand’s famous GT Radial Thunder in the Park has attracted a mammoth line-up of 11 competitive classes for its annual event, taking place on December 5-7 at Pukekohe Park Raceway, giving it an unprecedented range of racing machines for Motorsport fans young and old something spectacular to look forward to. 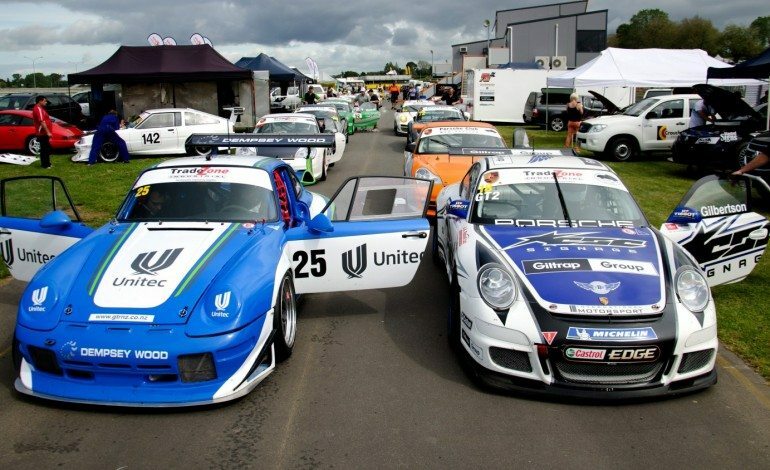 Event organisers have confirmed the stellar line-up will include New Zealand’s GT1 & GT2 classes alongside NZGT, with the Pro 7, Porsche Racing Club, NZ Six, SS2000, Formula First, Pre ’65 Super Mini and Star Cars in support. 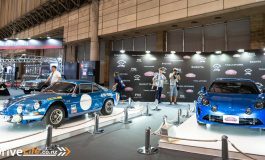 Favoured as the star draw-card to this year’s event is the ENZED Central Muscle Carsclass with Production & Northern Muscle Car classes joining promising spectators more thunderous action than ever before. 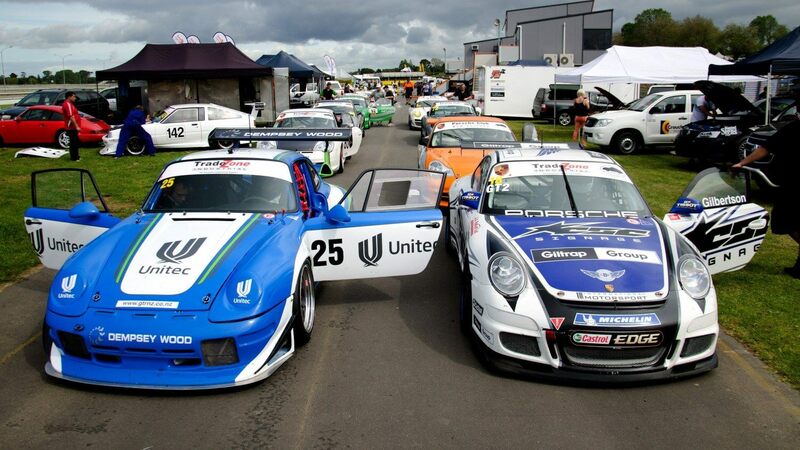 The illustrious Porsche class lining up for action at last year’s GT Radial Thunder in the Park event- Photo courtesy of Matthew Hansen. On track, GT Radial Thunder in the Park promises quick-fire and back-to-back racing with those 11 classes each racing three times, while off the track highlights include fun for families with exciting lunchtime entertainment (soon to be announced), Hot Rod Show and Shine, club displays and “kids fun-zone” to ensure everyone has a fun-filled day at the park. “Racing” Ray Williams also joins the event this year as GT Radial Thunder in the Park official ambassador, following an illustrious career in motorsport, and says he’s looking forward to the event. Tickets for a full weekend of racing cost just at just $28 for an adult, with children under 16’s receiving free entry with any paying adult. Event tickets can be purchased online through Ticketek or by clicking the link HERE. 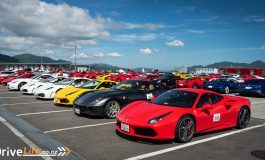 GT Radial Thunder in the Park is run by New Zealand International Grand in conjunction with support from GT Radial.